Stottite: Mineral information, data and localities. 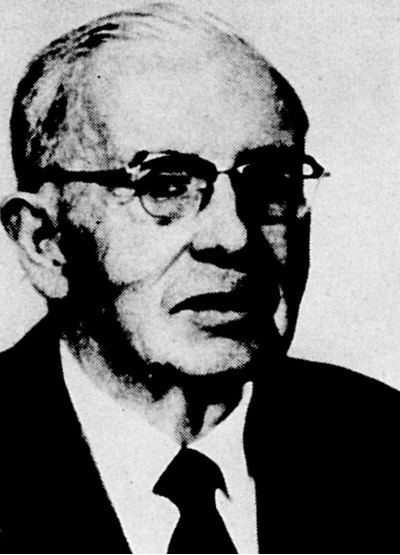 Named after Charles E. Stott (4 May 1896, Castle Rock, Colorado, USA - 1 June 1878, Prescott, Yavapai Co., Arizona, USA), Director of the Tsumcor Mine, Tsumeb (Namibia) from 1953-1965. Stottite is an iron hexahydroxogermanate, a compound with a Ge(IV) complex anion. Compare 'UM1970-16-OH:GeMn' - an unnamed natural Mn-bearing hexahydroxogermanate. Ludlockite 8 photos of Stottite associated with Ludlockite on mindat.org. Germanite 5 photos of Stottite associated with Germanite on mindat.org. Leiteite 3 photos of Stottite associated with Leiteite on mindat.org. Fleischerite 2 photos of Stottite associated with Fleischerite on mindat.org. Strunz, H., Söhnge, G., Geier, B.H. (1958) Stottit, ein neues germanium -mineral, und seine paragenese in Tsumeb. Neues Jahrbuch für Mineralogie, Monatshefte: 1958: 85-96. Fleischer, M. (1958) New mineral names. 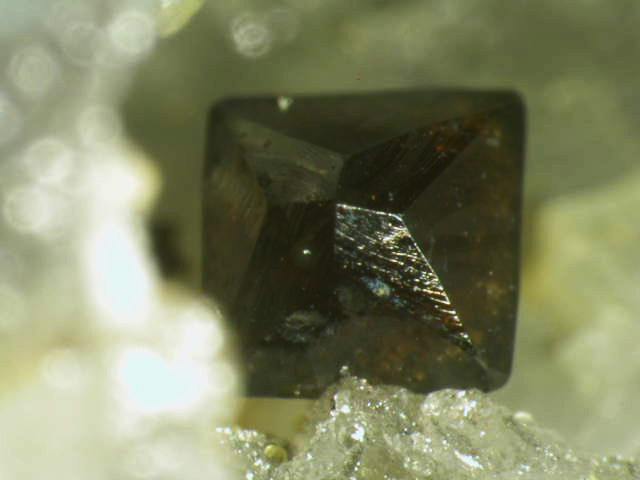 American Mineralogist: 43: 1006-1008. Strunz, H. (1959) Tsumeb, seine Erze und Sekundärmineralien, insbesondere der neu aufgeschlossenen zweiten Oxydationszone. 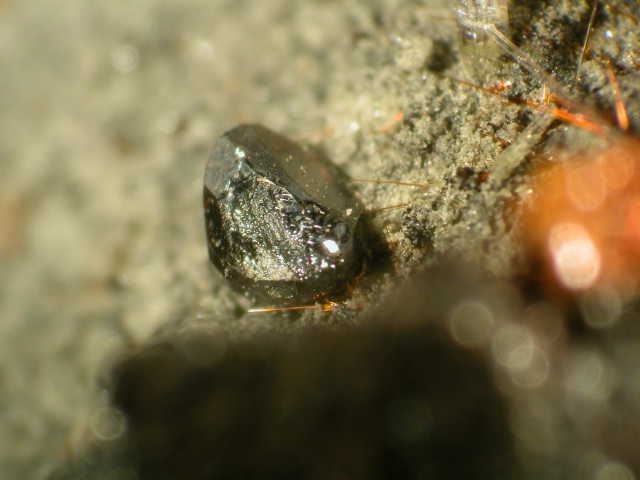 Fortschritte der Mineralogie: 37: 87-90. Zemann, J. (1959) Der strukturtyp von stottit. Neues Jahrbuch für Mineralogie, Monatshefte: 1959: 67-69. Strunz, V.H., Giglio, M. (1961) Die Kristellstruktur von Stottit Fe[Ge(OH)6]. Acta Crystallographica: 14: 205-208. Bernstein, L.R., Waychunas, G.A., (1987) Germanium crystal chemistry in hematite and goethite from the Apex Mine, Utah, and some new data on germanium in aqueous solution in the stottite. Geochimica et Cosmochimica Acta: 51: 623-630. Ross, C.R., Bernstein, L.R., Waychunas, G.A. (1988) Crystal-structure refinement of stottite, FeGe(OH)6. American Mineralogist: 73: 657-661. Ross, N.L., Chaplin, T.D., Welch, M.D. (2002) Compressibility of stottite, FeGe(OH)6: An octahedral framework with protonated O atoms. 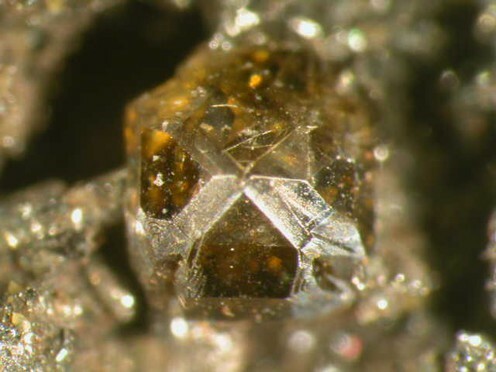 American Mineralogist: 87: 1410-1414. Kleppe, A.K., Welch, M.D., Crichton, W.A., Jephcoat, A.P. (2012) Phase transitions in hydroxide perovskites: a Raman spectroscopic study of stottite, FeGe(OH)6, to 21 GPa. Mineralogical Magazine: 76: 949-962.